This is a historical review, from a Lost Age when DNA could not ruin a good story. 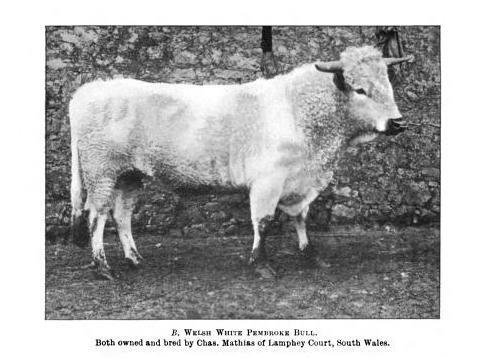 1904 photo of Wild White Chartley bull. 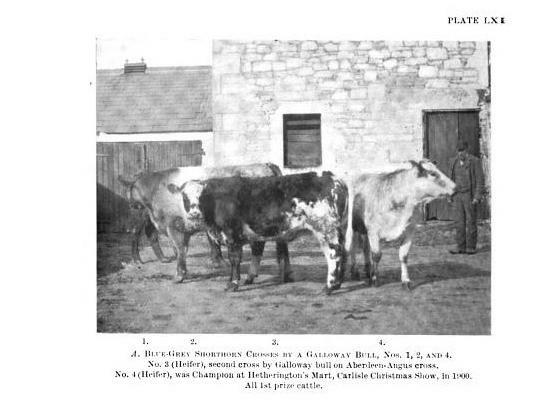 The Chartley herd was enclosed in the year 1246.
photo from: Farm live stock of Great Britain By Robert Wallace, Loudon M. Douglas, Primrose McConnell, W. B. Wale, 1907, page 144. Our premise is that, since Roman times in Great Britain, there has been a tradition of improving the texture, flavor, tenderness and fattening potential of imported continental cattle with the indigenous genetics of Welsh and Scottish breeds. 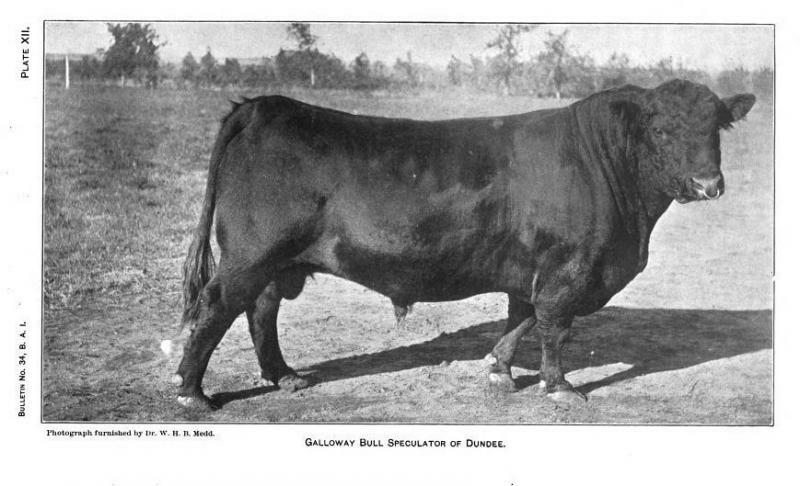 Native British cattle are the well from which genetic improvement has been drawn for over a thousand years. 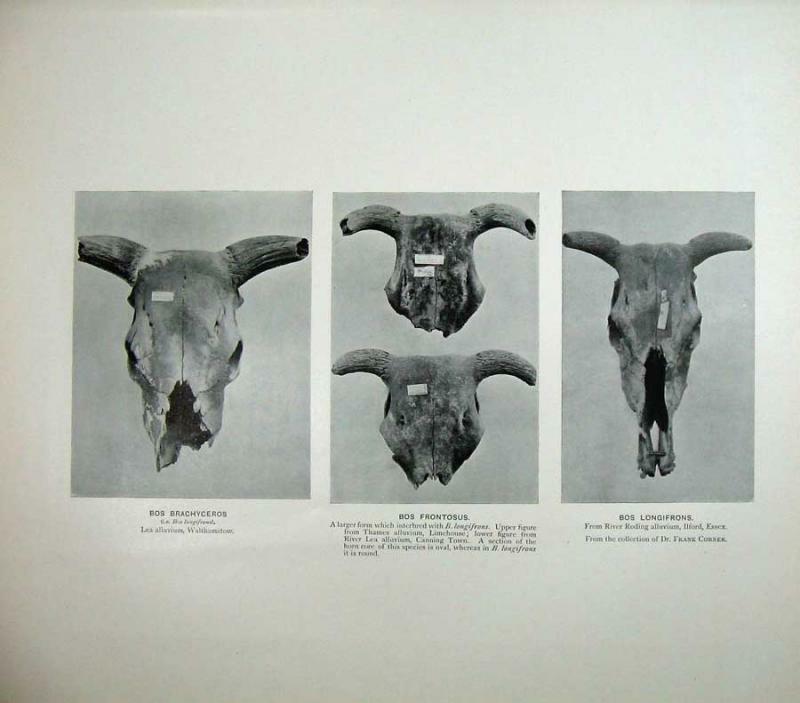 The Blue Roan Aberdeen Angus/Shorthorn crosses, the Blue Grey Galloway/Shorthorn crosses, the Albion Blue Shorthorn/Black Welsh crosses and the Prime Scot Shorthorn/Scotch cow crosses of the 19th century exemplify this system. Recovering those types will restore a proven grass fattening beef animal of first quality. These genetic blends are time tested to breed strong constitution, early maturity, marbling and tenderness in a harsh climate. Grass beef farmers of the future owe a great debt to the iconoclastic breeders and stubborn stockmen before us who faithfully conserved the old types of all beef breeds. We can only honor that debt by carrying those functional genetics forward. "Ringmaster, owned by Leslie Smith St Cloud, Minn. 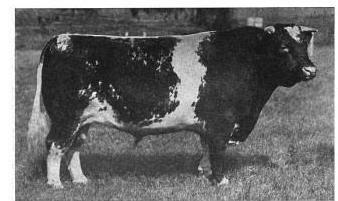 The Shorthorn is a breed with wide limits, it takes in a number of distinct colors and types which in other branches of animal industry would be considered distinct breeds." 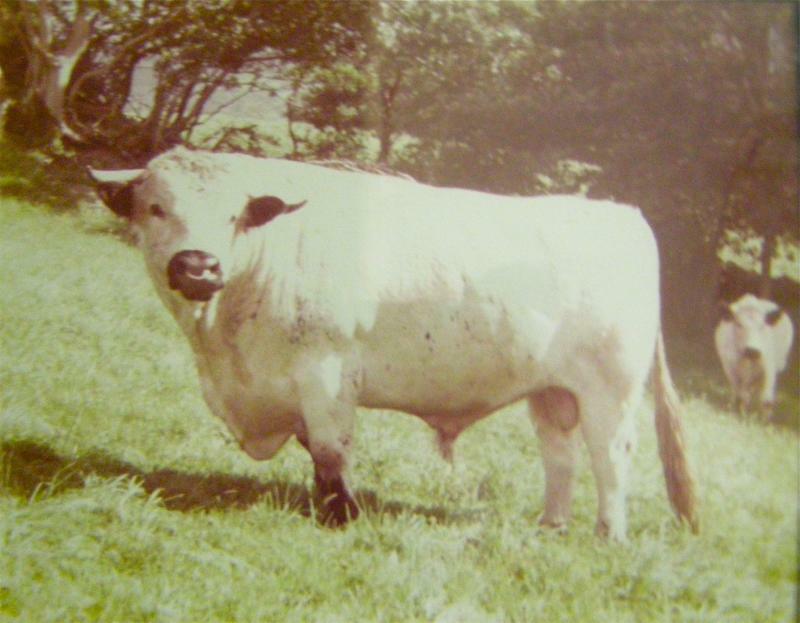 Prehistoric oral tradition holds that white cattle always coexisted with mankind in Alba. 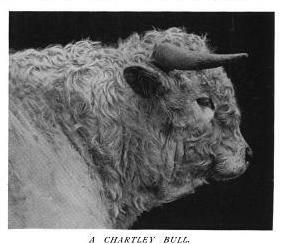 Recorded history states, however, that the first cattle in Great Britain were Bos primigenious, the Neolithic Aurochs, Urus or Urox. 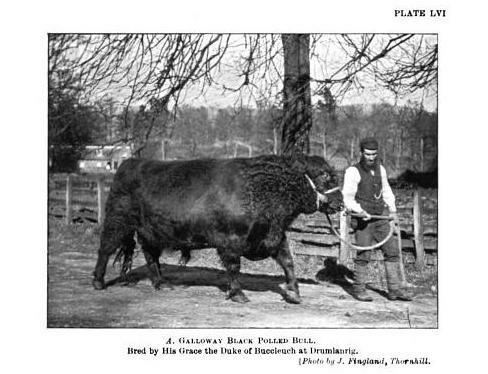 "...We further appealed to Professor James Wilson of the Royal College of Science, Dublin, who is an authority on the matter and who most kindly provided us with the following brief statement :"
(a) The first cattle in Britain were of a large type, Bos primigenius, which became extinct here in the stone age, although possibly surviving later on the Continent. 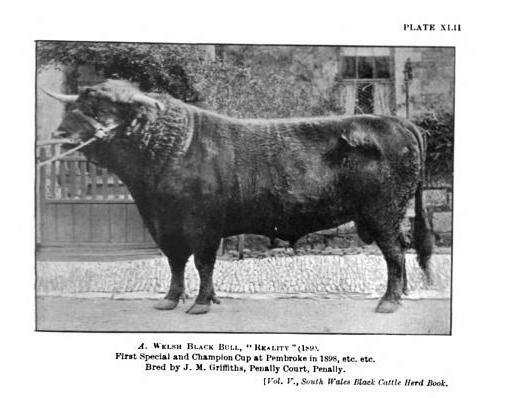 If they had anything to do with existing British cattle, which is extremely doubtful, the relationship is very remote and is only to be traced through later importations from the Continent. 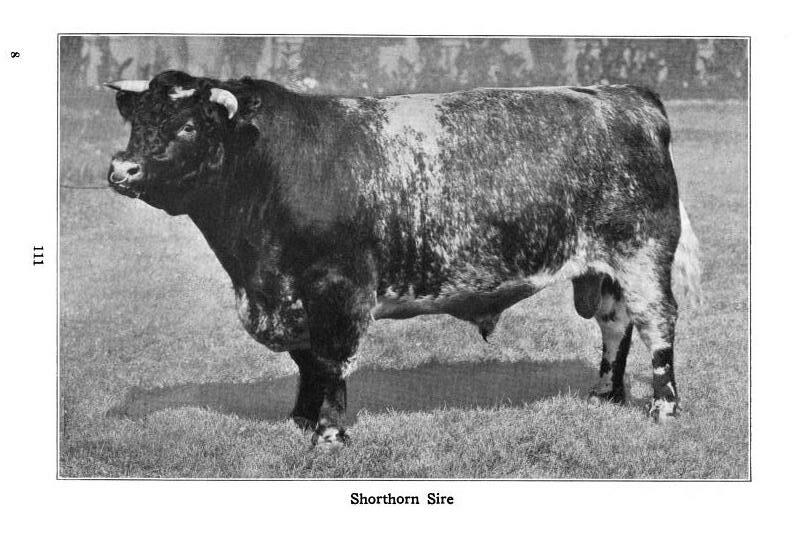 (6) The next type to be noted in Britain is the Celtic shorthorn, Bos longifrons, a much smaller animal. 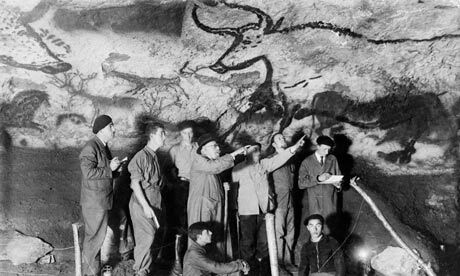 Patches of hair have been found in the caves, and these are said to be of a dark colour. Professor Wilson is strongly of opinion that B. longifrom was mainly black. It has been said to be red or black. (c) The next invasion, that of the Romans, brought the Roman white cattle, which probably had black markings. The Romans formed joint settlements with the British, and a Romano-British cattle resulted in the neighbourhood of Roman settlements, from crossing the Roman and Celtic types. (d) In the next place we have a Saxon invasion, bringing with it Saxon cattle. 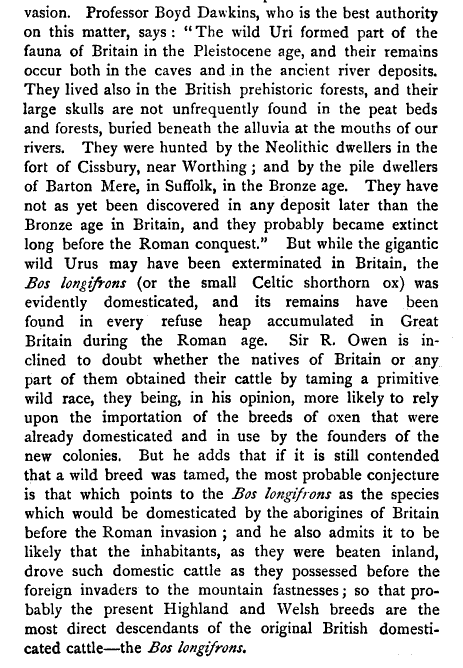 There was probably some mixture of breeds on the Celtic and Saxon frontiers, but generally speaking Saxon cattle occupied the parts from which the Romano-British population had been expelled. These cattle were red. (e) Following on the Anglo-Saxon was a Dutch invasion of cattle into the east of England. By Dutch we understand from the "Low Countries." This invasion began in the middle ages and continued till a century ago, and again involved a certain amount of mixture. 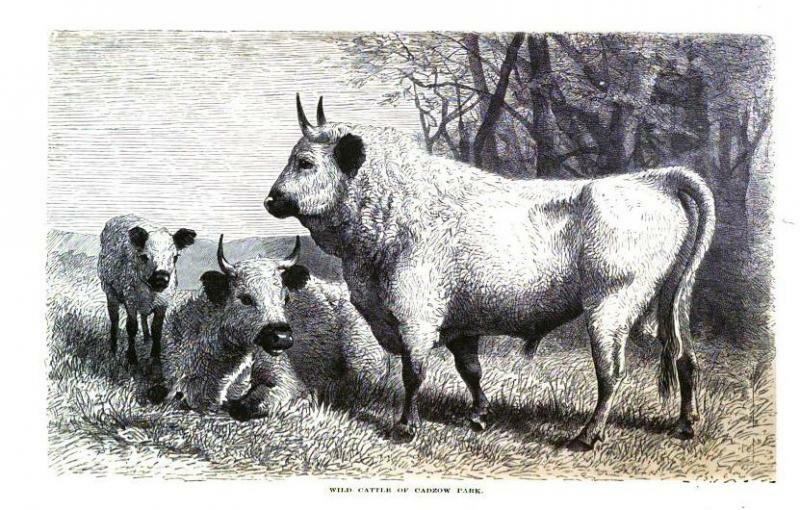 The Dutch cattle were probably "flecked," the flecking being white with black, red, or brown. The Englishman developing a prejudice against black, we may suppose the reddish mixture to remain, and to have become the basis of roan. 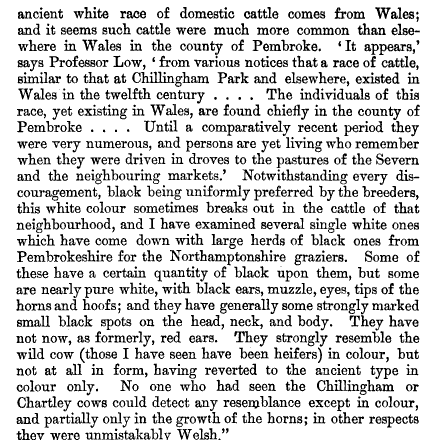 Wales and Scotland, Celtic or black cattle, with some of Roman descent and perhaps some whole reds. 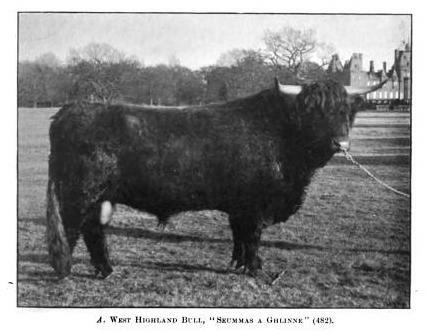 Midland England, very mixed cattle, compounded of the following races in order: Celtic, Roman, Saxon and Dutch. The colours were black, white with black or brown points, red and flecked. Round the edges of the country the breeds were comparatively pure, but in the Midlands, where they all met, they were a mixture; the Romano-Celtic element probably prevailing. 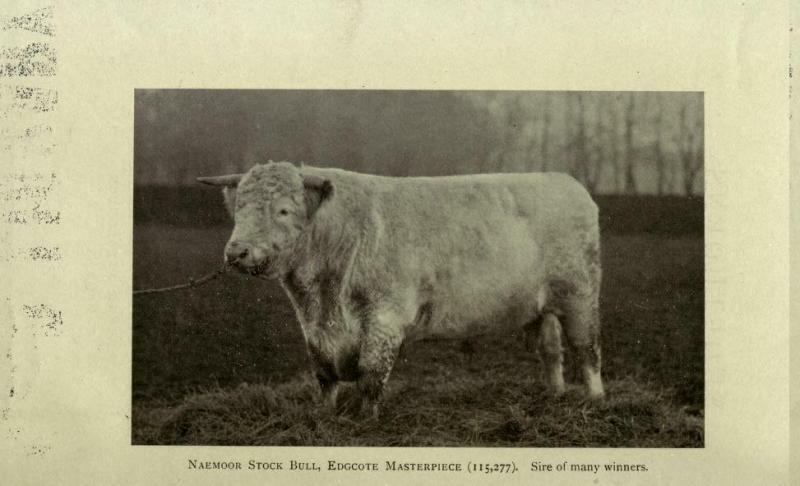 Eastern England, Dutch cattle, flecked or roan. 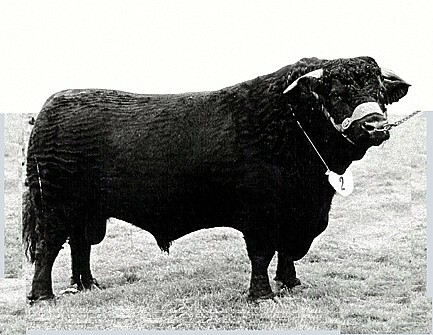 The purest British cattle would thus be found in Wales, Scotland (and West Ireland), where black is the prevailing colour. The Romano-British were up the west and middle of England, where they still survived to about a century ago. 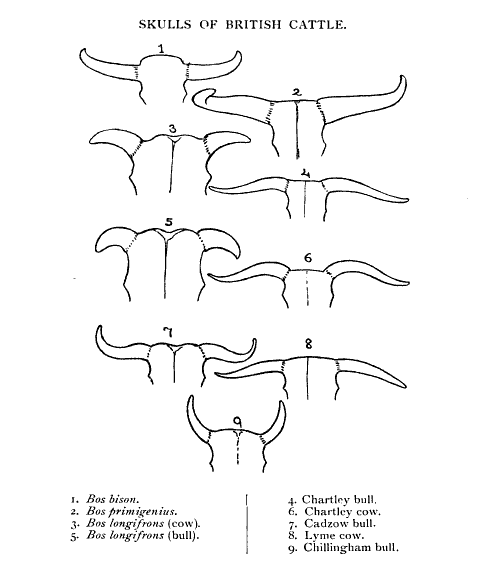 They were the old longhorn breeds. 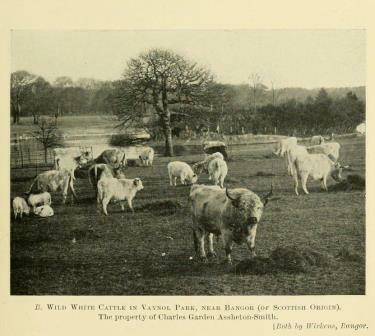 The wild white cattle of Chillingham, Chartley, and elsewhere, are Roman cattle run wild owing to the unrest of the Anglo-Saxon, and later and more especially the Danish invasions. 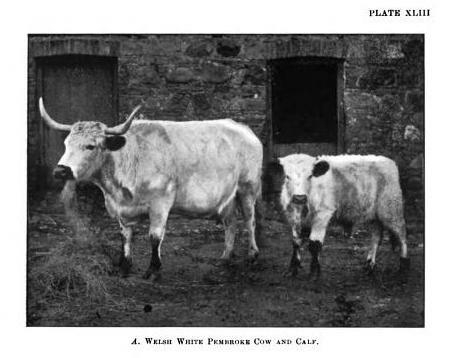 Traces of the Roman cross are still to be seen among Scottish, Welsh, and Irish cattle. 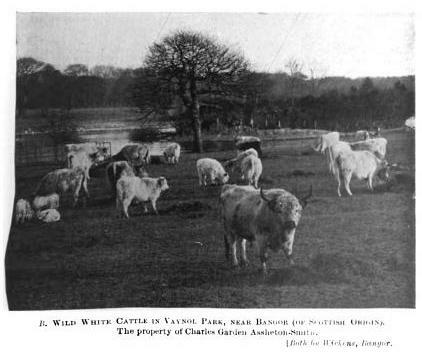 The wild white cattle have black muzzles and black or brown points; that is their hair is brown, or dark at the ears, round the eyes and muzzle and often at and below the knees. The Anglo-Saxon red cattle, which were once spread over the south of England, are still to be found in the red cattle of Norfolk, Sussex, Devon, and Hereford. The Romano-British or longhoms were some black, some white, but mainly flecked, and were largely driven out by the flecked Dutch, although some mixture probably took place. It will be seen that Professor Wilson's account differs to some extent from both those of Boyd Dawkins and McKenny Hughes. 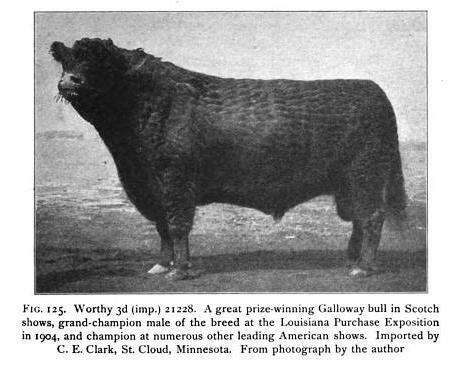 Upon the ingredients just referred to the breeders had to work when pedigree cattle-breeding, which is scarcely more thau a century old, came into vogue. 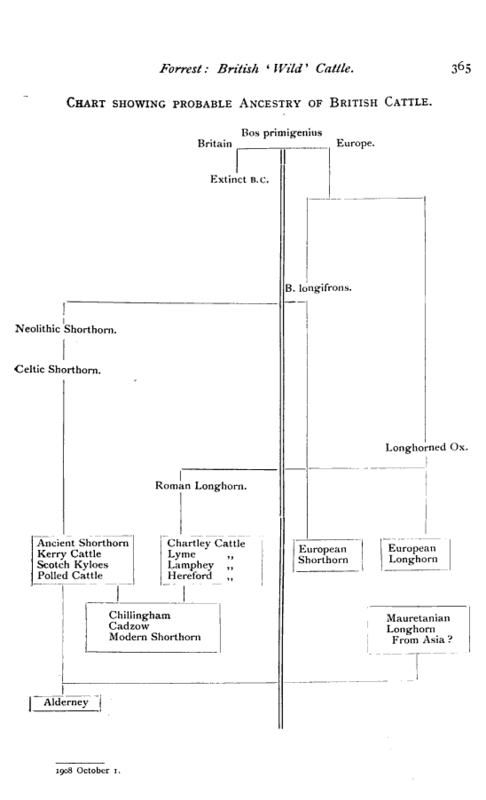 The shorthorn has possibly arisen from four races, the Celtic, a Romano-British, an Anglo-Saxon, and the "Dutch*", and even some of these are mixtures. 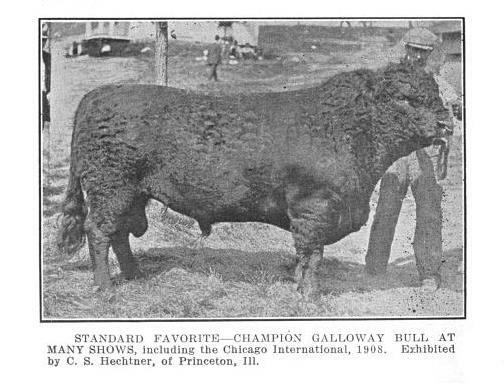 Heck bull, a German attempt at re-breeding the Aurochs. 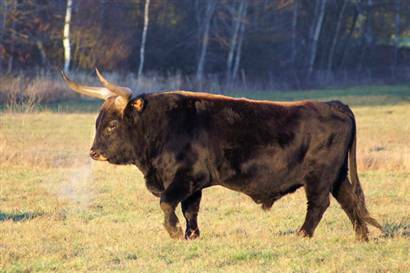 Bos sondacius (Bos longifrons), or Celtic shorthorns were the domesticated cattle of the Celts. 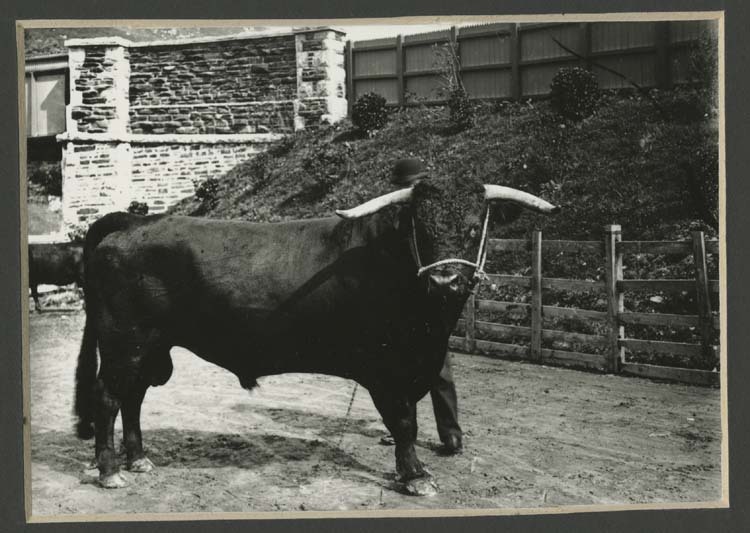 These cattle are thought to be a wild type that coexisted with and survived the Aurochs. Wherever Celtic peoples took refuge, these small rugged cattle accompanied them. 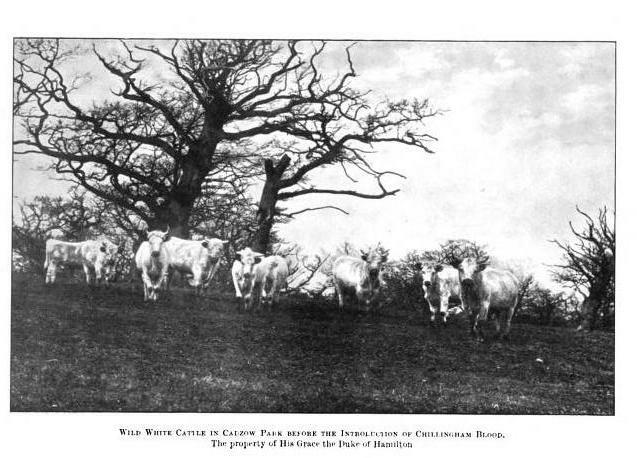 Following Roman, Saxon and Norman invasions, Wild White Cattle roamed the enclosed remnants of the devastated Great Wood of Caledon. 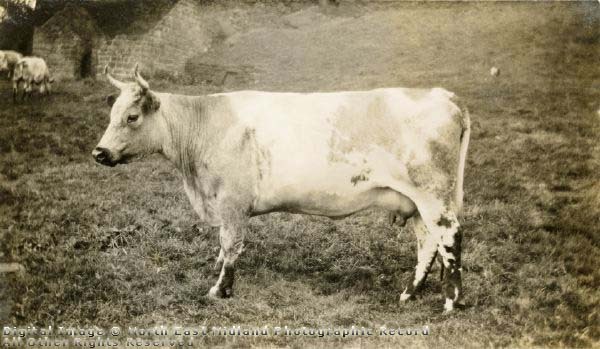 Pre-Roman oral tradition held that white cattle had existed in the Wild Forest since before memory. Cattle are a mixture of native cattle and feral domestic livestock brought over during foreign invasions. 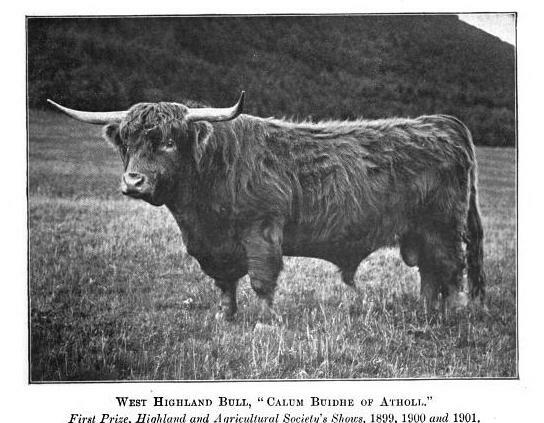 "The Highlands and Islands of Scotland have a very mixed breed of cattle, known under the name of " Kyloe," apparently descended of one common parentagethe diversity of breed being the result of food, climate, and management. When the Romans first conquered Britain, the Celtic portion of the inhabitants were possessed of large herds of cattle, on the produce of which they lived, with what wild animals they could procure in addition from hunting. Some time prior to the landing of Caesar, the Belgsea Teutonic racewho occupied the southern provinces, having driven the aborigines with their flocks and herds into the interior, had introduced the culture of the soil; but the latter preferred and chiefly led a pastoral, hunting, and warlike life." 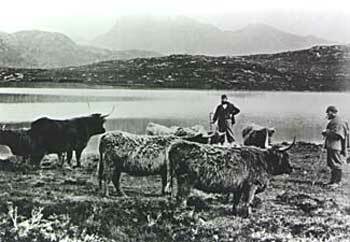 Kyloe cattle, descendants of the Celtic Shorthorn, are the native cattle of Scotland. Originally, the most common color was black. These cattle were central to an ancient Celtic warrior-herdsman culture. Raiding from North to South and from Highlands to Lowlands across borders kept the genetics heterogeneous. Welsh Black and Galloway are Celtic breeds from farther South, differentiated by culture and topography. 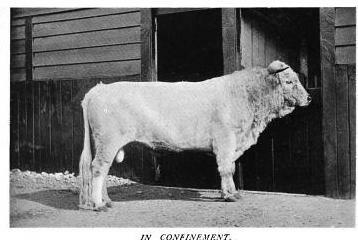 photos from: Farm live stock of Great Britain By Robert Wallace, Loudon M. Douglas, Primrose McConnell, W. B. Wale, 1907, page 144. Natural selection was the primary culling agent in the Celtic herds. Native Celtic breeds remain relatively unchanged and are logical choices for recovering truly functional low input grass finishing genetics. One can argue that Native Shorthorn or Scotch Shorthorn cattle derive their compact body type and carcass characteristics from early improvement with old Celtic genetics. That story is on the next page.